The biological sciences are special because they extend from the molecular level to cells, individuals, populations, species, and beyond, and also because they look back in time to past organisms. In other words, the essence of biological sciences is learning from organisms by observing them from various perspectives. For example, in biological studies of humans, techniques from the natural sciences are used to examine the evolution and adaptation of humans as an organism. Although the primary goal in medicine is to save the lives of people with disease, in biological sciences, we focus on the origins of humans and the history of human evolution. Therefore, we investigate individual diseases from a biological perspective. For example, the flip side of having diabetes is being tolerant to hunger, which is believed to be an important attribute for the evolution and spread of humans. We look at the disease not in terms of whether it is good or bad, but in terms of what consequences it had for human evolution. We also perform experiments using animals and plants that are not usually used in other academic fields. Because we perform a variety of outdoor field studies, including sample collection and observation, our department is composed of teachers who are active in an exceptional number of academic disciplines. Above all, the great benefit of biology is finding out many things about organisms. For this reason, our curricula have been developed to interest students in various subjects. For example, in the third year, we offer a wide range of courses necessary for learning fundamental concepts in biology. In the fourth year, students are assigned to laboratories for practical training. Although students select three different laboratories for lab rotation during the summer and winter semesters, three laboratories may be selected based on their research interests, such as plant, animal, and human biology. Fieldwork on animals is conducted at the Misaki Marine Biological Station on the Miura Peninsula, and experiments on plants were conducted on Iriomote Island in 2014. For anthropological studies, we conduct fieldwork on monkeys in Jigokudani and excavate ancient human bones. Fieldwork is essential in practical training. In the Department of Biological Sciences, we hope to teach students how to make observations from a broad perspective so that students can select and pursue their area of interest after graduation. For the last couple of years, approximately two-thirds of our undergraduate students entered the master’s program, and many of the remaining students entered graduate programs offered by other schools or medical schools. In general, half of the students in our master’s program advance to the doctoral program and the other half enter employment. 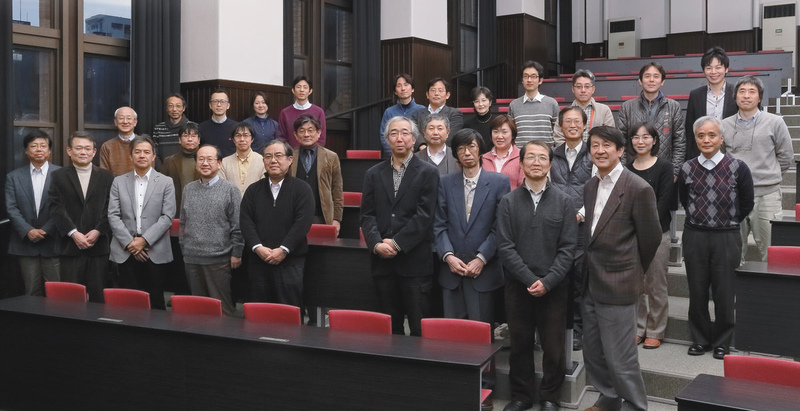 Establishment of Department of Biology, The University of Tokyo. Department of Biology divided into the Departments of Zoology and Botany; reorganization of The University of Tokyo into Imperial University. Departments of Zoology and Botany, amendment to the Imperial University ordinance. Establishment of the Department of Anthropology.